The Basque Country is a land of fascinating paradoxes and enigmas. Home to one of Europe’s oldest people and most mysterious languages, with a living folklore rich in archaic rituals and dances, it also boasts a dynamic post-modern energy, with the reinvention of Bilbao creating a model for the twenty-first-century city of cultural services and information technologies. Hugging the elbow of the Bay of Biscay on both the French and Spanish sides of the Pyrenees, this small territory abounds in big contrasts, ranging from moist green valleys to semi-desert badlands, from snowy sierras to sandy beaches, from harsh industrial landscapes to bucolic beech woods. This often idyllic scenery is the stage for fierce political passions. Almost every aspect of the Basque Country generates passionate disagreement, even its precise location. Spanish and French centralism, often authoritarian and sometimes brutal, has met with resistance for two centuries. Most recently and notoriously ETA, a terrorist group with deep popular support, has engaged in a bloody 45-year conflict. But, many Basques consider themselves full French or Spanish citizens, and fear political and linguistic exclusion under Basque nationalist rule. 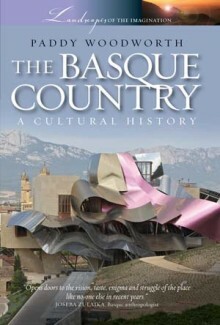 Land of ancient and modern culture: Basque is a land of ancient and modern culture: Basque poets still compose spontaneous stanzas in public contests, but the region has also produced novelists like Pio Baroja and Bernardo Atxaga, sculptors like Chillida, painters like Zuluoaga, and cineastes like Julio Medem. Strange sports and fiestas: Rock-lifting, grass-scything, goose-decapitation – ancient agricultural practices generate a host of contests still common at fiestas, which also feature dancers costumed as horses, witches, and ancient deities. The guggenheim and gastronomy: It also boasts of the guggenheim and gastronomy: Bilbao’s flagship museum may be the best building of the last century; its restaurant is one of thousands which produces some of the best meals in the world. PADDY WOODWORTH has written about the Basque Country for 30 years, and is the author of Dirty War, Clean Hands: ETA, the GAL and Spanish Democracy, described by Paul Preston as “one of the best books ever published on post-Franco Spain”.